My favorite song of 2014 (so far, anyway) made its initial waves in September of last year: SOHN’s “Lessons” was released as a single by the influential 4AD label, and made the Internet rounds then. But with the release of SOHN’s mostly excellent full-length debut, Tremors, I found myself listening to the song over and over again, on a sunny but slightly bumpy flight from New York to Chicago. It’s sort of the perfect song for that situation, in that it’s gorgeous but also a little bit tense. 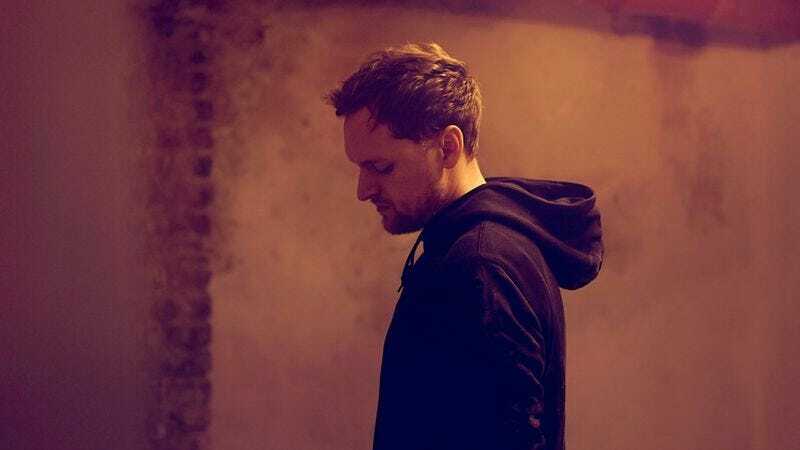 The song’s bed is a repetitive bass note that occasionally threatens to overload, a retro-futuristic melody line, and the reedy but soulful voice of SOHN himself, a.k.a. British songwriter Christopher Taylor. It’s a song about regret, of “lessons learned” and “bridges burned” with regard to an old relationship, and as the sweet-sounding voice gets more intense, that melody line goes from plucky to a little scary. That provides some almost invisible movement to a song that otherwise doesn’t seem to have an arc, exactly: It moves so slowly through its moods—the storm rises almost imperceptibly—that it’s unsettling. The moody video, which features an injury, running, and some very intense tooth-brushing, adds to the mysterious charm.